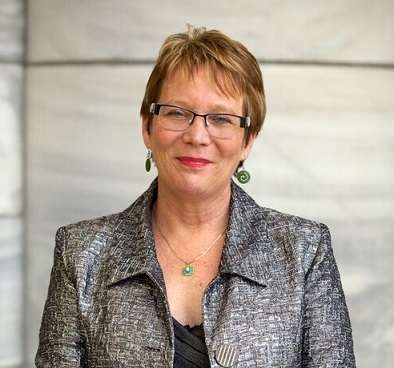 Our first political blog in the 2015 #NZGAW Blog Tour comes from Tracey Martin, whose many hats include Member of Parliament and holder of the Education Portfolio for New Zealand First. Thank you, Tracey. Gifted and Talented is part of common education speak these days. But what does it actually mean? For me, for New Zealand First, what does Gifted and Talented inside of education mean? We believe that every child is talented. A talent is something that one does well and often we do it well without even thinking about it. Take me for example – one of the most common statements to my parents during my school years was – “She certainly has the gift of the gab!” So talking has always been my talent. For a good number of those school years it may not have been recognised as a positive talent but it is in many ways this talent that got me to where I am today – a Member of Parliament for New Zealand First. That and a natural resilience. So if every child is talented is the current education system geared up to recognise and support that talent? If we agree that every child is talented, at something, then at the end of their formative years they should walk away knowing that they have a talent – talking, running, art, reading, math – it doesn’t really matter what as long as they feel pride in knowing it exists. A talent in one area can compensate for a struggle in another. But then you have some children, some students, NZAGC reports 5 in 100, who are gifted. Sometimes it just doesn’t feel much like a gift going on some of the conversations I have had with gifted students and their parents. Much of this negativity is created by an inability of schools to appropriately identify and then deliver for these students. For some time New Zealand First has been concerned that the Ministry of Education does not require nor collect data around the numbers of students who schools have identified as being in the top academic band or who have been identified as Gifted. Combine this with the narrowing of the curriculum to a focus on numeracy and literacy and the removal of the “well above” target in National Standards leads us to conclude only one thing. We have to conclude that this government doesn’t understand that it has a responsibility to commit to raising the achievement of students at both ends of the learning continuum, i.e., special needs and gifted and talented. Often, because these students are literate and numerate with committed parents, the universal attitude can be dismissive with a “they will be fine” response when concerns are raised. But as research has shown us often these students are not fine. They are lonely. They are frustrated. They give up on formal education and act out to gain attention. What a loss to us as a nation that these children are not being assisted to reach their full potential. New Zealand First believes early identification is key to assisting these children and their families become the best they can be. That is why we want to work with educators and families to establish a pilot programme, in partnership with the early childhood education sector, for the collection and analysis of school entry baseline evidence to target staffing and resourcing to meet both support and extension on a needs basis. But just to identify is not enough. How will we continue to deliver and engage these students, both the gifted and the talented, in their academic lives? We believe that the only way to truly deliver for these students is to establish tagged funding for student extension and enrichment. And this would be alongside the establishment of nationwide teacher professional development and funding support for high ability and gifted students. This tagged funding could be used to release specific teachers to create personalised programmes for specific students. It could be used to fund onsite academies such as Science Academies, Performing Acts Academies, Maths, English, Sporting – where each area of gift or talent can be nourished and grown. But more than that we would like to look at establishing Primary and Secondary Scholarships to cover costs such as MindPlus. If the Ministry of Education can dual fund secondary students to attend both high school and trade academies why is this not possible much earlier in the educational journey and why is it not available to gifted students? The theme for Gifted Awareness Week this year is “changing the way you see us”. I hope that we don’t – my wish for each gifted and talented child is that “we see you” as you are. That we see you and challenge you and nurture you in the specific ways you need to be your best. I have hope that in the not too distant future, with the right policy settings, that this is not only possible it will become the norm. Image Credit: New Zealand First. Thank you Tracey for your continued support for gifted education. I am pleased to see support for increased, targeted funding. I would strongly urge that you also consider including gifted learners under the special and inclusive education umbrella. I also feel strongly that the Ministry needs to ensure it is seeking advice from a wide range of expertise – parents, teachers, researchers – including, but beyond, those who hold contracts for professional services to the MOE. If NZ is truly to be a world class inclusive education system, our Government and its Ministry must acknowledge gifted learners, their parents and teachers. Thank you Tracy, for your passion and commitment for gifted education. I like that you are committed to raising standards in NZ education, generally, and specifically for gifted education. I like your idea of dual funding – as you say, it is done for other groups in the education sector, so why not for gifted students? “Often, because these students are literate and numerate with committed parents, the universal attitude can be dismissive with a “they will be fine” response when concerns are raised. But as research has shown us often these students are not fine. They are lonely. They are frustrated. They give up on formal education and act out to gain attention. What a loss to us as a nation that these children are not being assisted to reach their full potential”. Spot on! One of the biggest misconceptions around Gifted Kids explained in a simple, yet powerful way. Thank you. Thank you, Tracey, for your time and commitment in contributing to the blog tour. It is interesting to watch the growing alignment between the posts of our Members of Parliament who regularly make themselves available to discuss gifted education and the position papers from organisations in the field. See http://giftednz.org.nz/wp-content/uploads/2015/04/Position-Paper-Inclusive-Education-June-2015.pdf for the latest position paper, ‘Gifted Students in the Inclusive Education System’; and also the Priority Learners position paper at http://giftednz.org.nz/wp-content/uploads/2014/06/GAW-Position-Statement-Full-Final.pdf . As a parent of gifted children, this has also concerned me greatly. I have been very disappointed at the decrease in the quality of reporting since the implementation of National Standards. Great to see a politician and a political party with some excellent ideas on gifted education policy. I really like your thinking Tracey! Professional development for teachers will be very helpful in terms of addressing the negativism that gifted children and their families unfortunately sometimes experience from their schools. Every school is meant to have a policy on their identification of gifted and talented and how they will be catered for, but in some cases I believe it’s hard to even get past the first hurdle due to the lack of knowledge and understanding of staff. And as for how to deliver for these students – brilliant! Personalised programmes are so do-able within a 21st century pedagogy, in fact it makes perfect sense. I love your post and that you obviously “get” the issues, and have proposed some very exciting solutions. As a parent of gifted children and a teacher myself, I have seen this story from both sides and it is always great to hear from those in positions of influence who demonstrate the understanding needed to deliver changes. You are so right about the negative feelings that exist in the minds of parents who just want their child to be provided with an education to meet their needs but instead have often endured years of uninformed and inappropriate responses. The degree of the discrimination and judgement that takes place is generally hidden and very damaging. And as your comment concerning the Ministry of Education’s lack of care towards documenting the size of the issue and short sighted approach regarding the loss of value indicates, this dogmatic attitude begins at the top. If I may do so without deflecting from the overall positive tone of your statements, I would like to highlight one or two areas where some more thought may broaden your own views. Firstly, you begin by asserting your belief that all children have talent. There are many well-publicised myths that surround gifted education and one commonly used statement that creates a barrier is that every child is gifted. Schools and teachers often take this stance and use it as an excuse for not needing to accurately identify and appropriately provide for the needs of those who are significantly advanced in some way. They profess to cater for *all* their students equally by providing opportunities for students who excel in different areas, but because of their underpinning belief that all students are “gifted” or “talented” in some way, their identification and provision is fundamentally flawed. All children are special; all children have strengths; however it is important to be very clear about the qualitative differences possessed by those who can be identified as gifted, using sound research-driven identification processes. Secondly, you stated that these students are literate and numerate with committed parents. The rest of your paragraph is very sound – gifted students who are literate and numerate with committed parents are confronted with the “cream will always rise to the top” response and this is a myth. The negative consequences you have written about – loneliness, frustration, acting out, opting out – are very real. However, not all gifted students are literate, or numerate, and they don’t always have committed parents. Within the group of students who can be termed gifted, there are many sub-groups that include students who as well as being gifted, may be disadvantaged by coming from a low socio-economic background, they may have a difference that impacts on their learning such as dyslexia or an attention deficit disorder, or they may have a physical disability. Students from a diverse range of cultures are included in the gifted cohort and so cultural differences, together with the possibility that they may be learning English as an additional language, add to the complexity of identifying and providing for these learners. Ultimately, in your statement that the government has a responsibility for adequately providing for both ends of the learning continuum, as in special needs and gifted and talented, lies a further common misunderstanding. Gifted and talented do not sit at just one end of this continuum. I would suggest as far as continuums go, it is more circular in nature than the commonly represented straight line! And this erroneous perception feeds a further difficulty that creates a significant roadblock. When discussing funding for gifted and talented initiatives, those in control of the purse strings see gifted and talented as competing with special needs funding rather than in fact belonging to the same group. I hope I have helped to broaden your understanding. As you can see, gifted and talented learners are not always in the top academic band, for a variety of reasons. Your concluding statement suggests that you would like to see each gifted and talented student as they are. I would suggest that in order to see *all* the gifted and talented students, you may need to look in a few more places. I love your suggested solutions. Early identification is so important. It is heart wrenching to watch bright, excited learners enter into our school system, and then gradually become disillusioned, bored and eventually give up and dis-engage. I love the tagged funding and teacher professional development is absolutely critical. Funding for identified gifted and talented students to attend programmes run by highly trained specialist teachers is desperately needed. Thank you for caring Tracey, and please, on behalf of all the gifted children and their parents, continue on this journey that you have begun. There are so many lives that you can potentially transform for the better. As the others have done I thank you, Tracey, for caring about the plight of our gifted and talented young people. There are some very well thought out and informed points in your blog and I hope that you are able to use your influence as an MP to advocate on behalf of these students. I hope also that you take on board Sharon’s comments, particularly the need to include gifted and talented students in inclusive education policy instead of seeing these two areas as competing for funding. Seeing is Believing! A very common phrase, but in the case of gifted students I think it can change the opinions of those who see ‘everyone as gifted’ or those who have ‘never had a gifted child in their class’. I would like to see funding earmarked within professional development of teachers that would allow them to go into specialist gifted classes, or regular classes where the teachers are really managing the needs of gifted students well. A gifted education colleague once told me of the difference she saw with a gifted child we both knew, who flourished within her specialist gifted withdrawal class, but was a withdrawn and very unspectacular learner within her regular classroom. Her teacher never saw her potential in her home environment. Sometimes the only way we are going to change mindsets about what giftedness is and what education of the gifted entails, is to place teachers within a new space, where observation of the flourishing gifted child can be made. This will be a difficult task, and one I will leave as an idea to be pursued, but opening someone’s closed mindset is not easy in most situations!